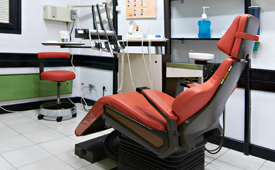 We have high specialized products and techniques that specifically cater to restoring damage on examination tables in hospitals, medical clinics, dental clinics, veterinary clinics, massage and physical therapy offices and more. Cracks, rips, tears and burns can all be repaired for a fraction of the cost of replacement. Our insured and professionally training technicians are mobile and can come to you.